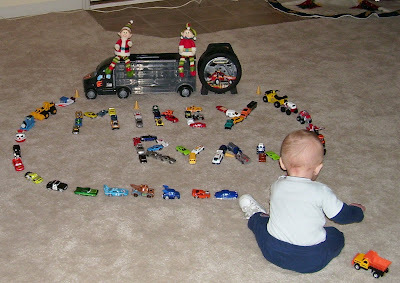 The elves, made mischief, again...this time they played with Mikey's cars. 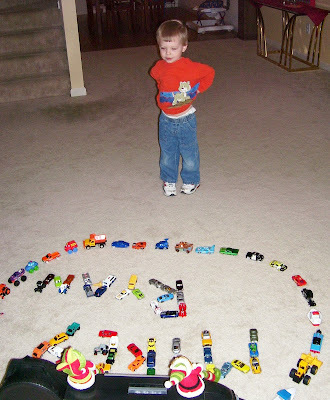 They spelled out Mikey and Ryan's name, and used every car they could find to make a circle. 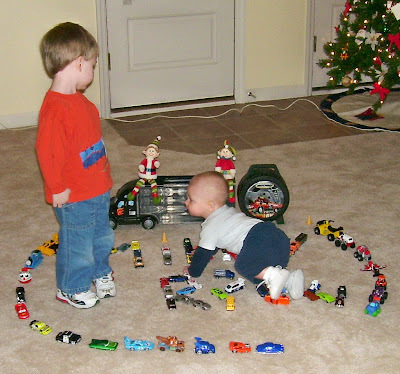 Buddy and Max...up to no good. 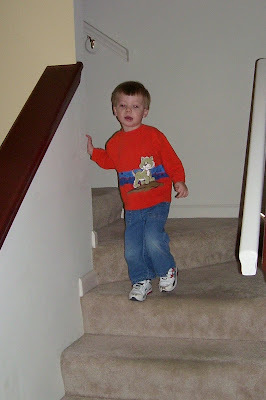 Mikey came down the steps, and said "They made a mess Mommy, why did they do that?" Mikey sees his name, and thinks it is funny. 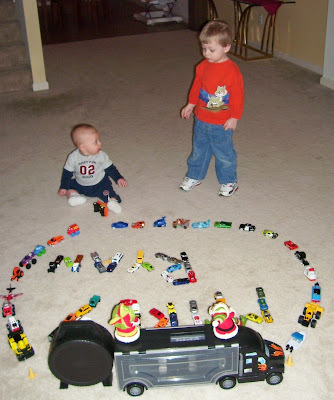 We cleaned up the mess, and headed out the door, so Mommy could get to work on time.